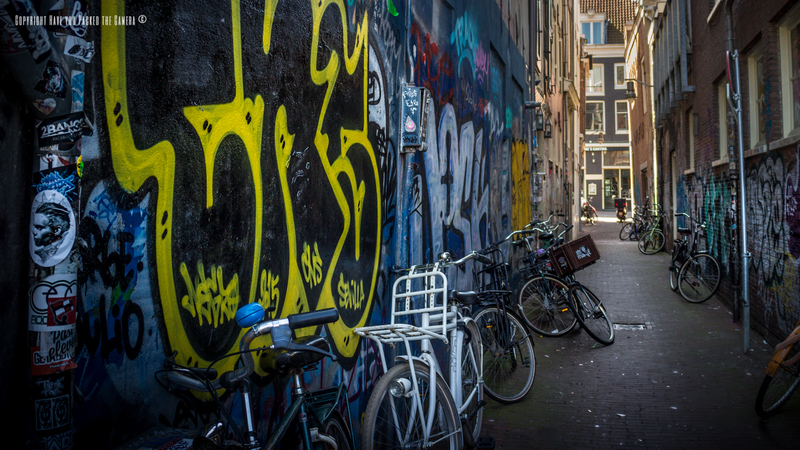 I never thought Amsterdam would be such a beautiful city - Because of the Red Light District and the reputation for Marijuana etc I think I expected it to feel seedy, dirty and unpleasant. I was greatly mistaken and was really smitten with all that I saw. 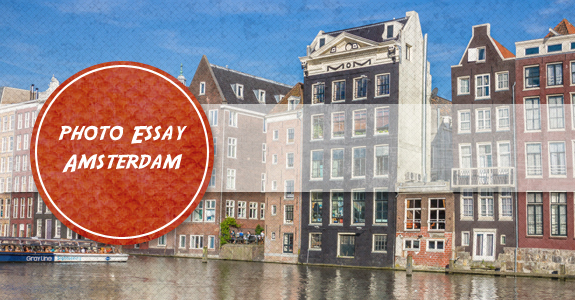 The canals, the wide roads, the spacious parks and squares, the greenery and the stunning architecture all looked so appealing and I simply enjoyed walking through the streets and enjoying what I saw. I hope you enjoy these photos - The weather was perfect and I was extremely happy with the end results. 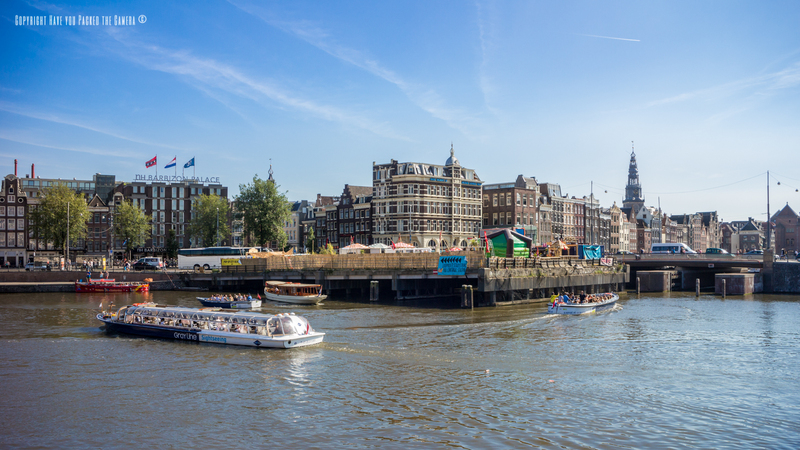 This was one of the first views I had of Amsterdam as we exited the Centraal Train Station, and it immediately gave me a good impression of the city; The old architecture, the beautiful waterways both created a scene full of colour and life. 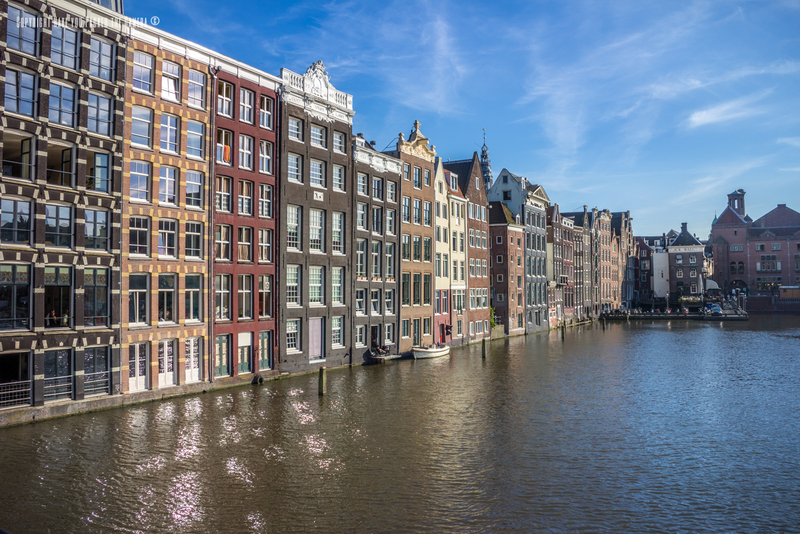 The buildings lining the Damrak canal were picture perfect to photograph, the colours and the way they reflected in the water were really nice. We got on a boat trip of the canals from here which lasted roughly an hour and was a great way to see the city. 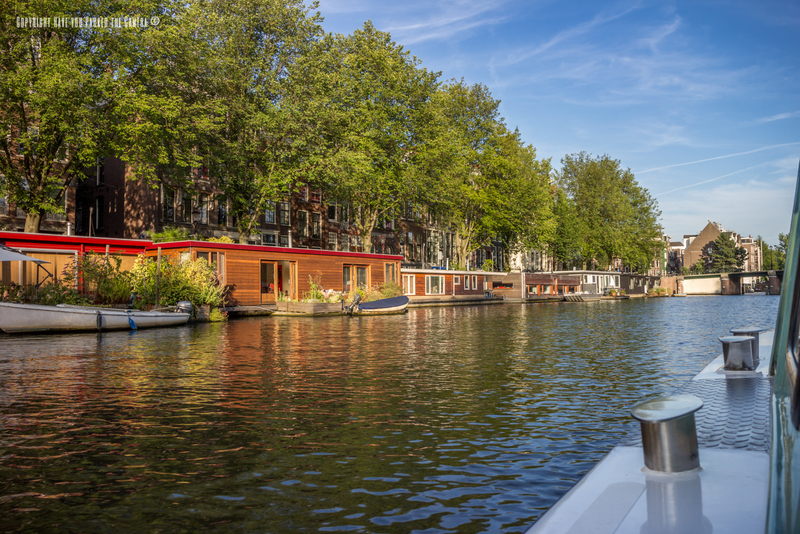 I found the house boats that lined many of the canals to be really fascinating; They all looked so pretty and I can imagine waking up in a morning and looking out onto the canals, or sitting out on the balcony and eating breakfast whilst people watching, it looked like an idyllic lifestyle. Branching off from the main streets were lots of narrow, gloomy side streets, many of which had graffiti on; some of them looked really ropey and I wouldn't want to venture down them at night, but some like the photo above looked quite artistic and I thought the graffiti was really interesting. Bikes! Bikes everywhere! 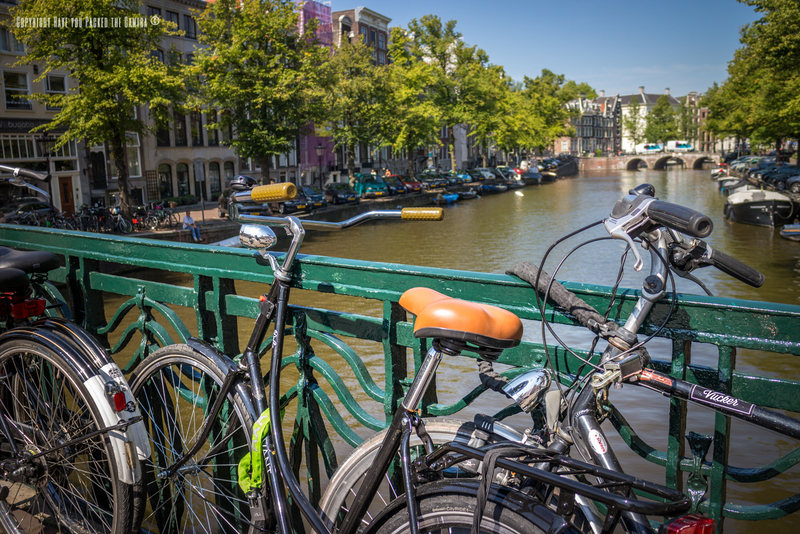 People riding bikes down the streets, bikes chained up to bridges, bikes in rows down the sides of canals, I just couldn't escape them! I had to take a photo like this and I think I chose the right bridge and moment – I like the variety of bikes, the colour of the seats and the vibrancy of the trees and canal in the background. 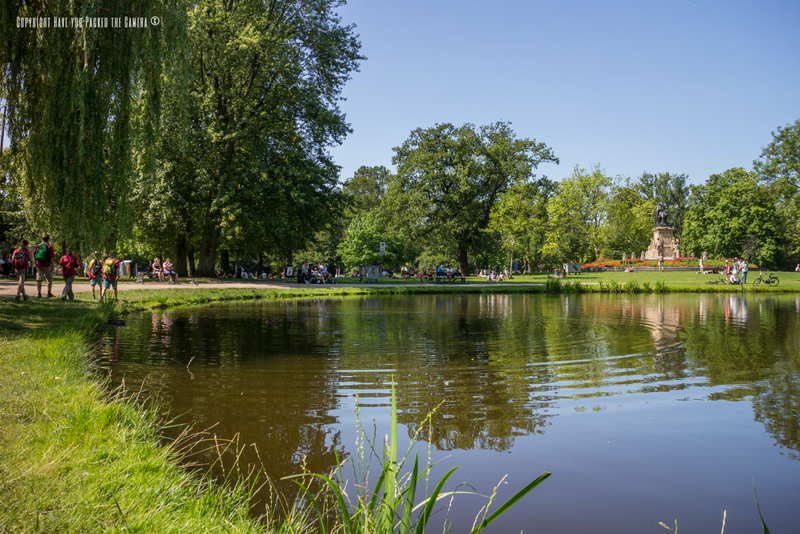 Vondelpark was fantastic, we had a walk through this green open space before visiting the Heineken experience and found it really peaceful, relaxing and beautiful. I took this photo while we were sat on the banks of one of the lakes just as a duck decided to jump out of the water at our feet. 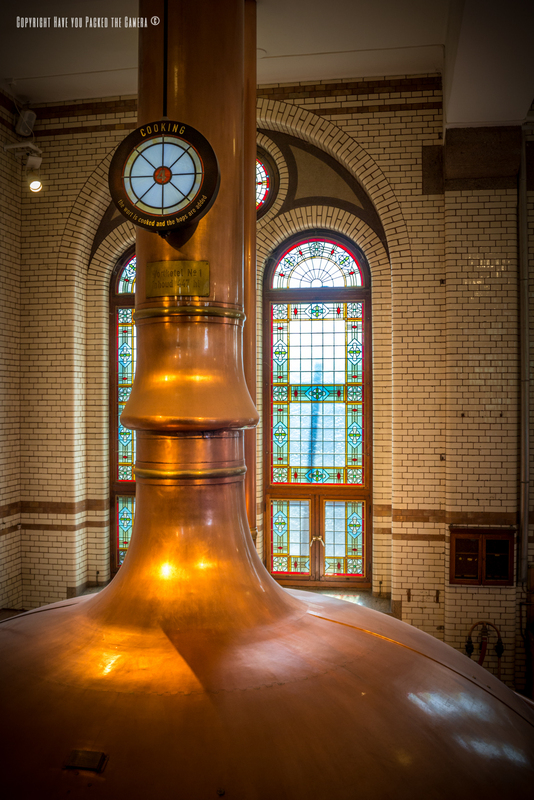 The Heineken experience was so much fun and I would recommend it to anyone visiting Amsterdam - It provides a good mixture of history, facts, fun and beer! This photo shows one of the mixing tanks where the brewing and cooking takes place. This wall of bottles was just too cool to not photograph! 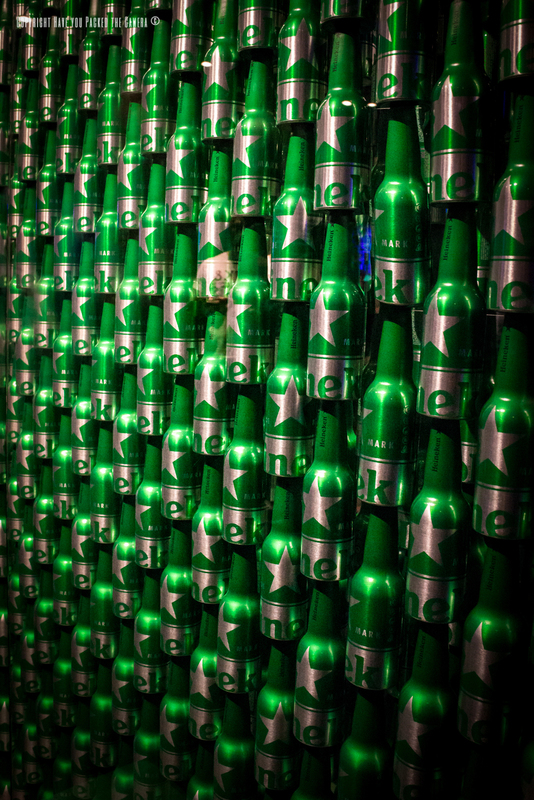 There were several Heineken themed walls and rooms like this and it created a great effect. There were flashing lights that lit up the bottles and changed colours every so often. The canal ring in Amsterdam was fantastic, you can literally walk down every street and find a new canal. 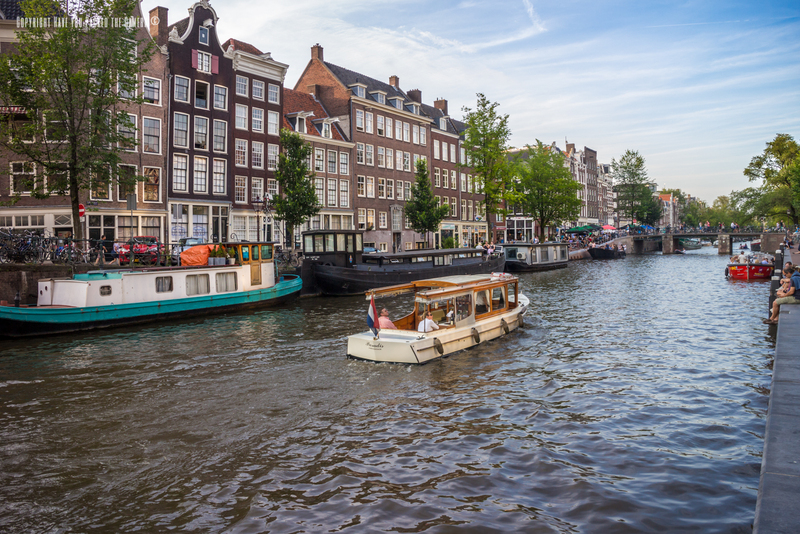 The buildings lining the canals are all beautiful and have step gables, the bridges are historic and intricate, and there are so many different boats and house boats floating on the water. There is just so much to take in and admire! 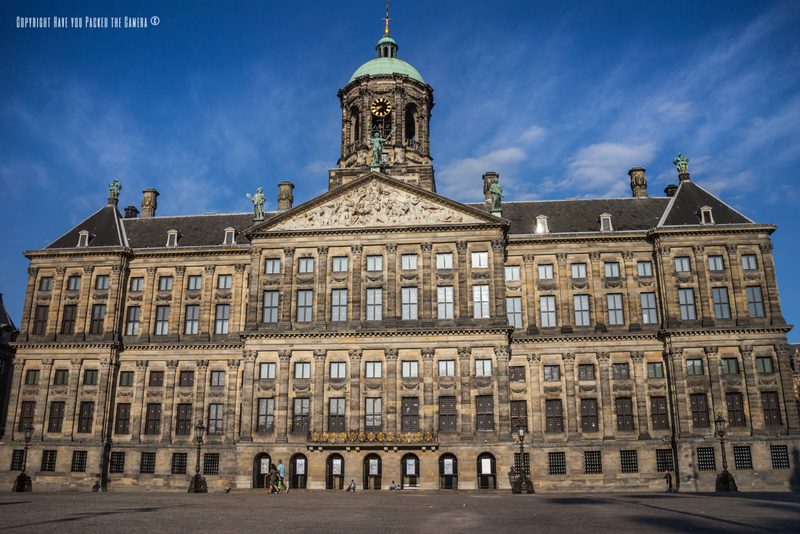 We walked past the Royal Palace and Dam square many times and also sat and enjoyed a meal and some drinks one evening too. To me the Palace is not one of the most spectacular I have seen, but it certainly had beauty and was imposing and created a grand statement.